Posted By Edward, 2nd Aug 2018. 5 Minute Read. 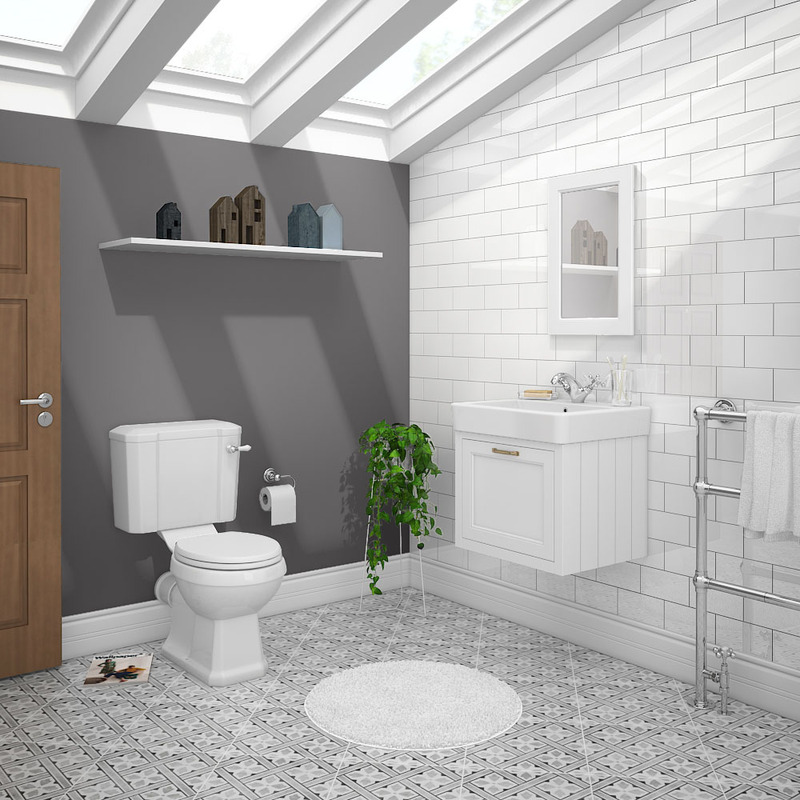 Have you got your heart set on a new bathroom in 2018? 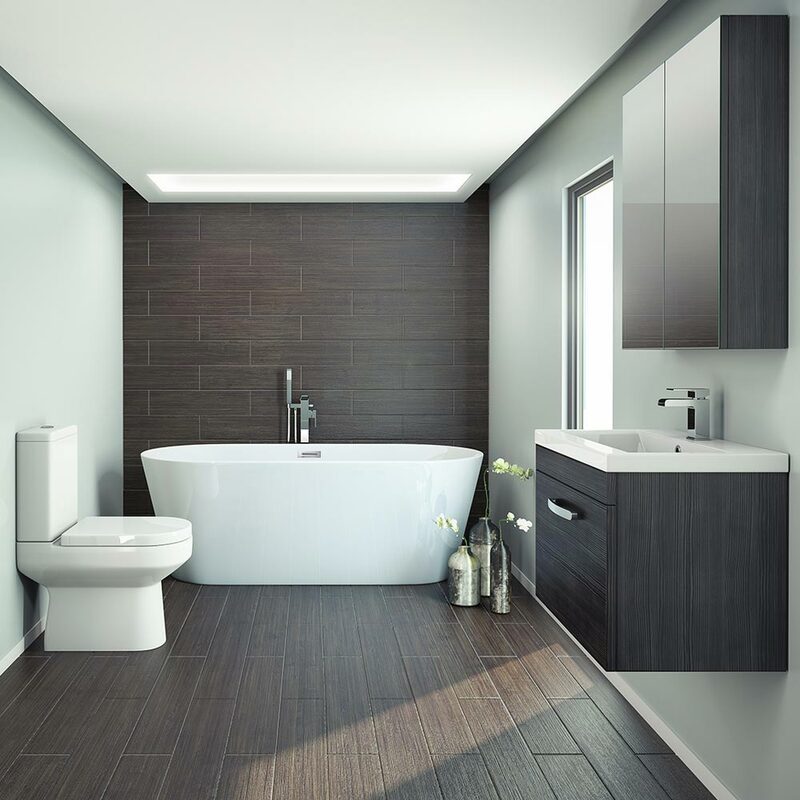 One of the best ways to discover ideas for your new room is to follow the latest bathroom trends to see what's popular as well as what's new in the world of bathroom design. 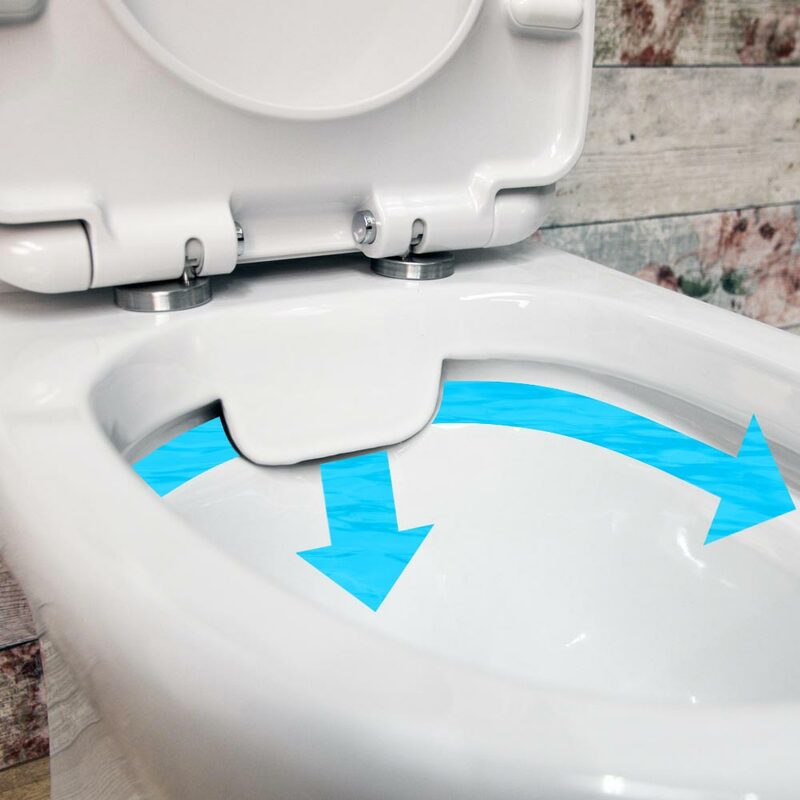 Being the largest online bathroom retailer in the UK, the team here at Victorian Plumbing have compiled this bathroom trends 2018 guide by speaking with customers who have purchased their bathroom in 2018. 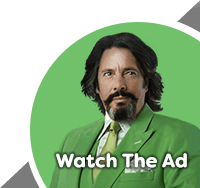 We combine this knowledge with the latest bathroom trends from social platforms like Instagram and Pinterest to keep a keen eye on what's hot and what's not in 2018. In this guide we will reveal what we believe are the top 10 bathroom trends in 2018 and then show you how to add these fashionable trends to your own bathroom design. 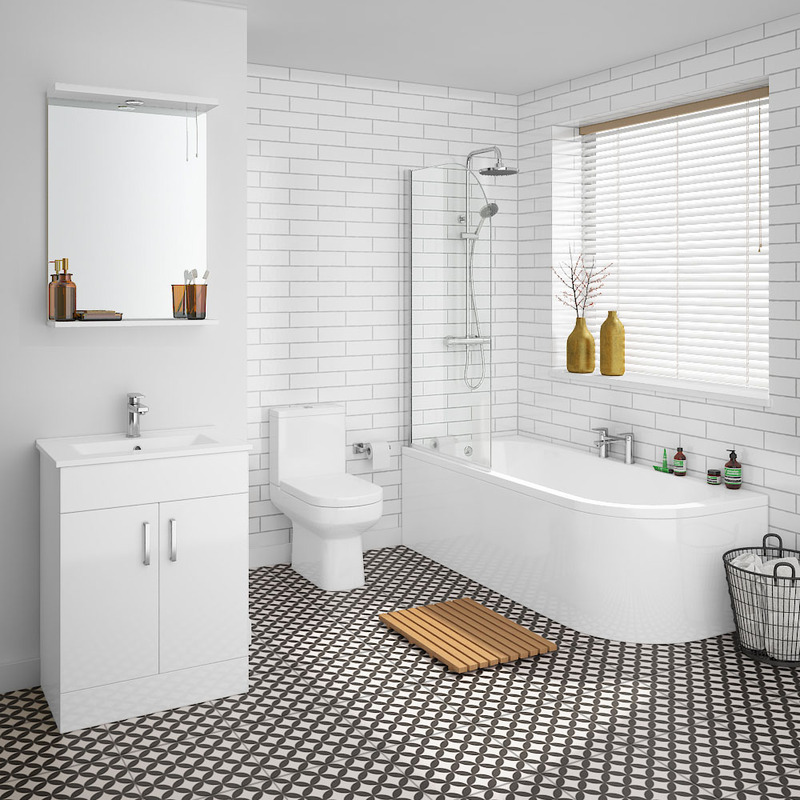 To see how this year's bathroom trends list compares to last year, why not take a look back at our bathroom trends 2017 guide. One colour that looks great against a dark feature wall is dark wood effect furniture. Two great examples are the mid-oak version of our hugely popular Brooklyn furniture range or if you prefer a real wood alternative then go for our Ronda collection of chestnut bathroom furniture. 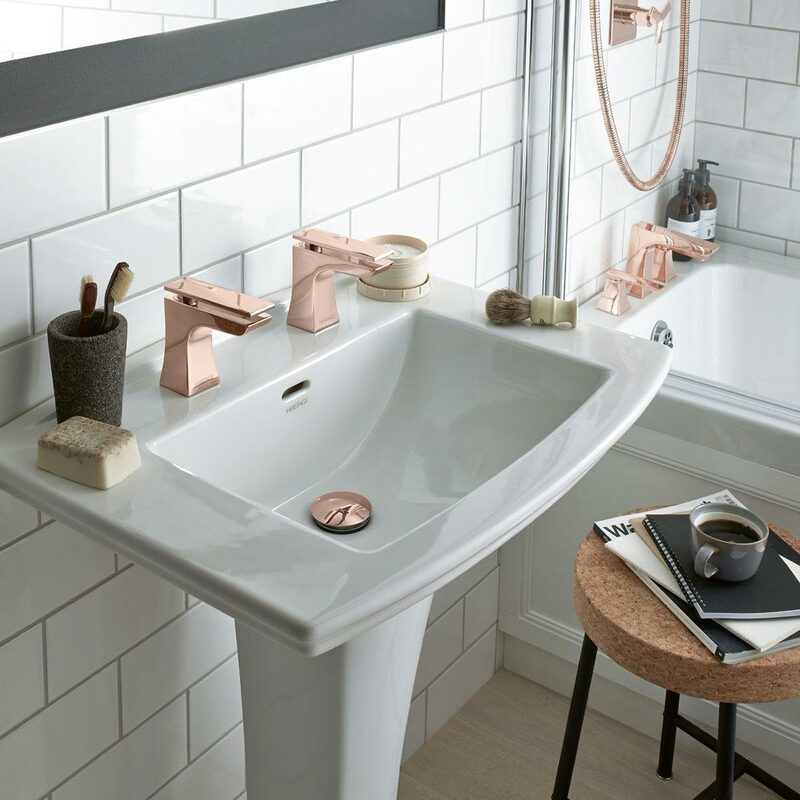 Since we mentioned rose gold in our 2017 list of bathroom trends the market has caught up and there are now some fantastic new rose gold bathroom fixtures available to buy in the UK. 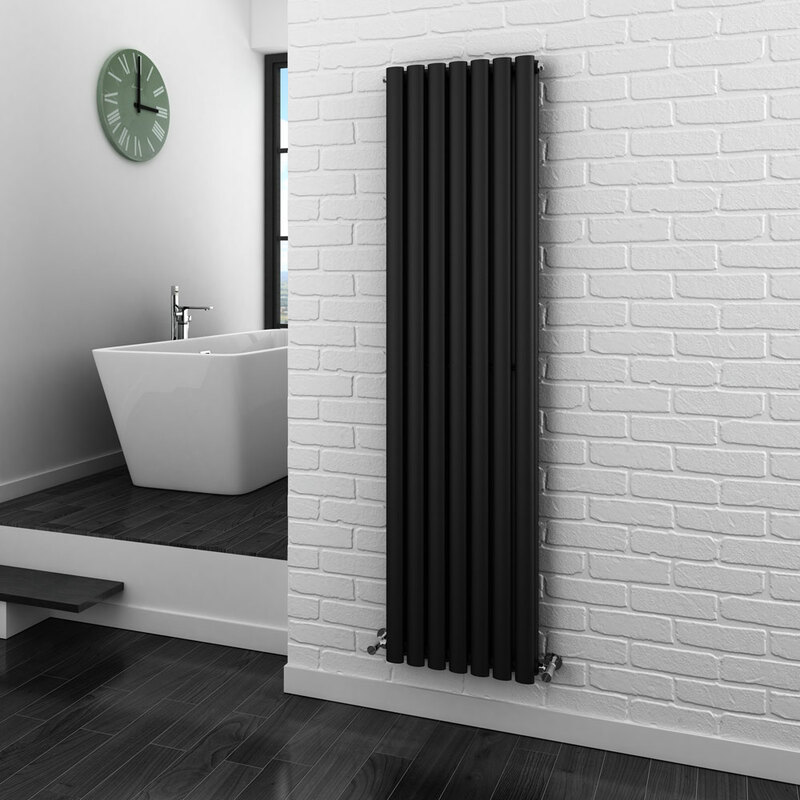 Here at Victorian Plumbing we have recently introduced a brand new range of rose gold taps as well as a new collection of rose gold radiators. Arguably the biggest trend to hit bathroom design in the past decade, grey bathrooms is a 2018 bathroom trend that just keeps getting bigger and bigger every year. The reason this trend has been such a big hit is because grey bathrooms offer a sophisticated yet understated design. Grey as a bathroom colour scheme can work in both traditional and modern settings and because it's a neutral colour, the chances are that the room won't look dated in a few years time. 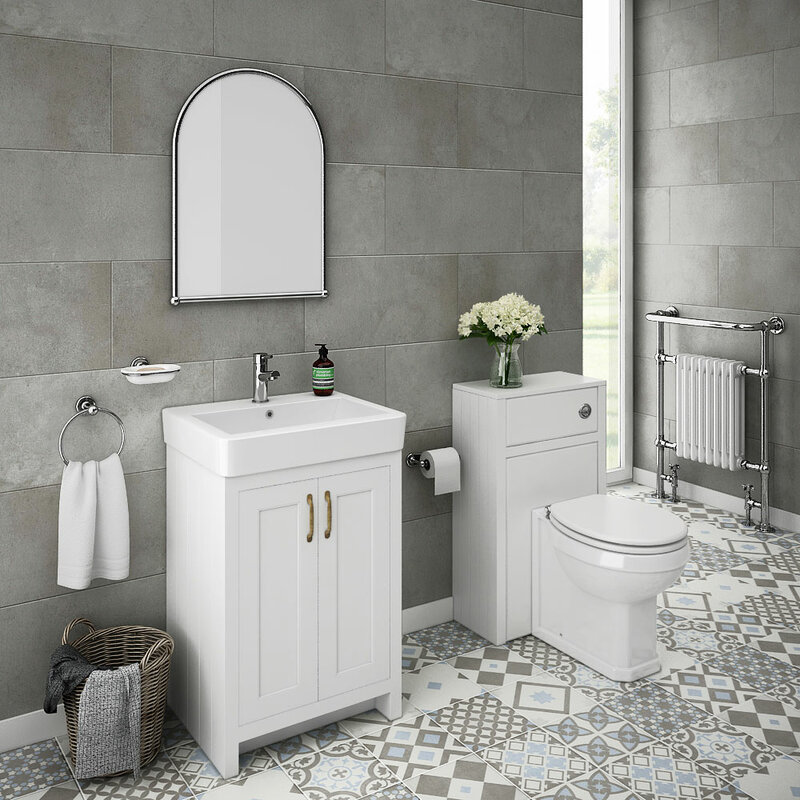 Some of the most popular ways of including grey to your bathroom colour palette is by adding grey tiles, grey bathroom furniture or even a grey freestanding bath. For more grey bathroom ideas, a really good read is our ultimate guide to grey bathrooms. If you've never heard of a J-shaped bath before then don't be worried, not many other people had heard of them either before 2018. The reason for this is that J-shaped baths are a brand new bath design that has been growing steadily more popular in 2018. So what is a J-shaped bath? The more commonly known bath shapes are straight, L-shaped and P-shaped however a J-shaped bath differs from these shapes by having a sweeping design that essentially looks like a J. Adding a J-shaped bath to your own bathroom will allow you to instantly create a cool, contemporary feature. These trendy new designs are available as a standard J-shaped bath, combined J-shaped bath shower or another alternative is to go for a bathroom suite with a J-shaped bath included in the package. If you're interested in the top tile trends in 2018 then you simply cannot ignore patterned tiles. Pattern tiles are those beautifully eclectic tile designs that are sometimes referred to as Moroccan, Spanish or even Victorian tiles. These super-stylish tile designs have been such a big hit in the last few years and this year has been no exception. When it come to the subject of the latest bathroom furniture trends then the top trend this year has been wall hung vanity units. Vanity units themselves have been a trend all on their own over the past 5 years however in 2018 wall hung vanity units are very much the fashion. 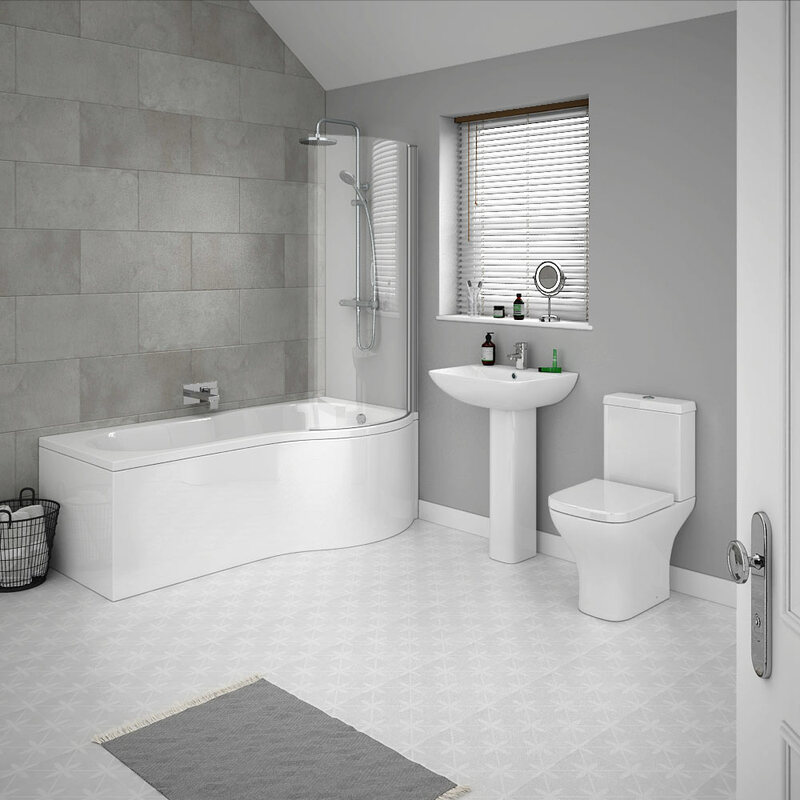 Rimless toilets are still a relatively new bathroom trend so as such there aren't too many on the market right now however one design that you can buy today and at an affordable price is our Elite rimless toilet (pictured above). Just making it inside our list of bathroom trends for 2018 is crittall shower screens. The reason crittall screens have only just made it into this year's list is that this trend has only been on our radar for the past few months. Crittall shower screens, also known as industrial-look shower screens, essentially have a black frame instead of the more commonly used chrome. Some designs feature a window-like appearance with the black frame criss-crossing to form black squares on the screen. Due to the fact this trend is so new, we don't actually sell crittall screens here at Victorian Plumbing. Fear not though because we will be stocking a selection of trendy crittall designs in the very near future and we will update this page when we do have them on our website. And that's it: the top 10 bathroom trends 2018. 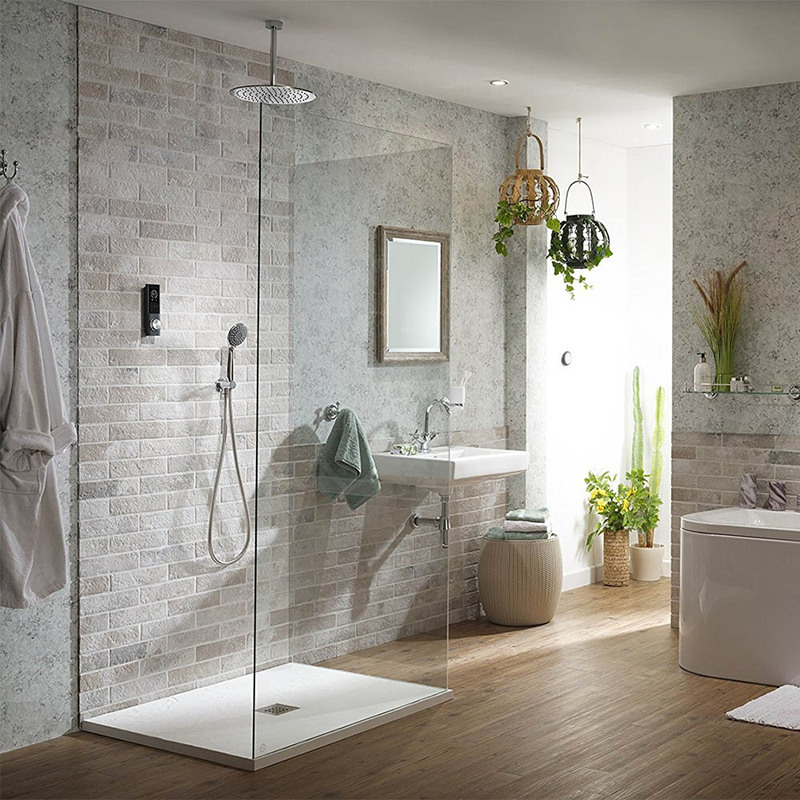 Which of our trends do you like the most and more importantly which trend ideas will you be including in your next bathroom renovation? If you would like to read more of our 2018 bathroom ideas then a really good read is our 2018 guide to the top bathroom colours. This expert guide reveals the top 8 bathroom colours in 2018 and also gives you a few tips on how achieve the different colour ideas in your own home. If you have any questions about any of the products and ideas featured in this guide then please feel free to get in touch via the Victorian Plumbing Facebook and Twitter pages. And finally, if you want to keep up with the latest bathroom trends in 2018 and also in to 2019, then a great resource is the Victorian Plumbing Instagram page where we share photos of the most recent bathroom renovations completed by VP customers.